Dr. Yin Xiaofeng, postdoctoral research fellow at the University of Tokyo visited the Graduate School of Biosphere Science on September 17-18, 2018 to give a seminar on the “Mechanisms of flattened unifacial leaf morphogenesis in Juncus prismatocarpus.” In his presentation he detected the direction of cell division during the development of plant leaves through molecular and morphological means to explain some of the bases for leaf flattening in plants. Juncus prismatocarpus is a grass species which grows in swamps and peat bogs throughout Southeast Asia as well as in some parts of China and southeastern Australia. The speaker earned his Bachelor of Engineering from the China Agricultural University in Beijing in 2006. In 2009, he was awarded a Master of Science by the University of Prince Edward Island in Canada. Later in 2012, he received his second Master of Science degree from the Miami University in Ohio, U.S.A. With a “Frontier Science Research Center” MEXT scholarship and working under the supervision of Professor Hirokazu Tsukaya of the Graduate School of Science, he was awarded a Ph.D. by The University of Tokyo in 2016. He continued on to become a postdoctoral researcher in the same laboratory. 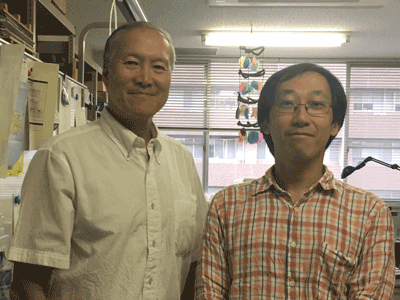 During the recent visit to the Graduate School of Biosphere Science at Hiroshima University, Dr. Yin was hosted by Dr. Lawrence M. Liao of the Aquatic Botany laboratory.